November is already half way over. Pretty crazy huh? It seems that all year, we dream about this month, and then in a flash, it's already almost over. Don't let that get your hopes down though if you haven't shot a buck yet. The back half of November doesn't get as much publicity or love as the front half, but there are definitely bucks to be killed, and the rut is by no means over. What you might have to do though is switch up your tactics. Here's three under the radar tactics that might just work for you in the next couple of weeks. From what I've seen and experienced, mid day hunting has never been fast and furious like it can be when you're more apt to see deer movement early in the morning or later in the evening. But, with that said, mature bucks will move during the middle of the day during the rut, and especially during the back half of November. As you get later into November, more and more does have been bred. I think mature bucks can be found cruising through doe bedding areas, checking to see if there are those last few does that are ready to breed. Mature bucks know where and when does will be bedded, and from what I've seen, this can be the time of the day you'll have that mature buck encounter. It's important to stay alert through the mid day hours. The problem with mid day hunting is it can be hard to be alert all day, and be ready if something were to happen quick. A perfect example of this is just last season. I was sitting between two doe bedding areas on November 17th, and at 1:00pm, a mature buck came cruising through, coming from the one bedding area, and headed to the next one. Everything happened so fast, and in short, because I wasn't ready, I ended up putting a bad shot on the buck, and he survived. Had I been alert, and ready for action like I normally am during prime time, the encounter could have ended in my favor. Even though November is most deer hunters favorite time of season, it also means there's an uptick in hunting pressure. After a couple weeks of the rut, does have not only been run by bucks, but will adapt to hunting pressure. Inevitably, if does feel pressure, they move to where there's less pressure. And you know how the saying goes...where the does are, the bucks will be. So with that in mind, this time of the year, try something new, and head back to that spot way off the grid no one wants to hunt. Give that odd spot you've always wondered about, but never hunted a try. If it's a place hunters don't normally go, you never know what could happen. You may not see anything, or you could have one of "those" hunts. Now, this may seem counter intuitive to some right? You might be thinking bucks have been called at now by hunters for weeks, and have wised up. This could be true to a certain extent, but let's look at it from a different perspective for a second. By now, there's a good chance most young bucks are worn out and run down from the rut. But you know who's most likely to be up seeking those last few hot does? You guessed it, mature bucks. I've been most successful calling at mature bucks in the last couple weeks of November. You probably won't have as many young bucks responding to calls, but if your goal is to harvest mature bucks, don't be afraid to get aggressive. 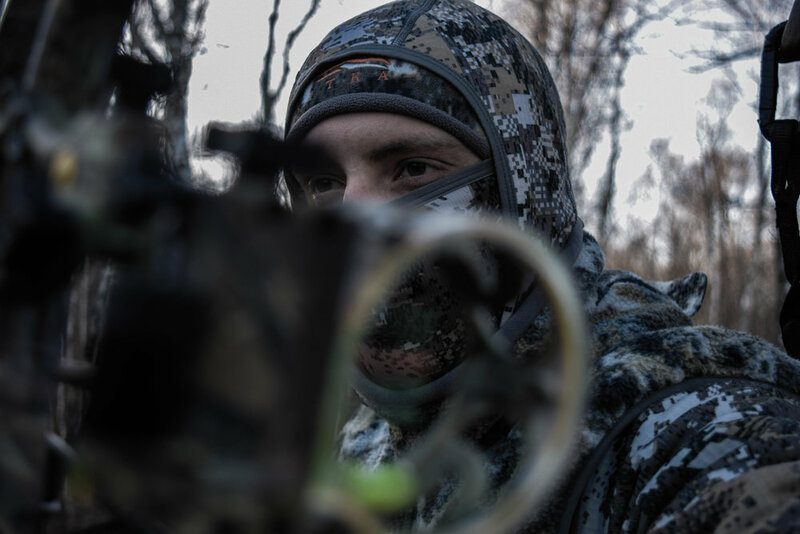 Hunting the rut can be a grind. In short, if you haven't put down a buck yet, don't get down on yourself. Some of the best hunting is still ahead. Don't be afraid to get creative, and log as many hours in the tree as you can. Just remember, it only takes one buck to make one mistake to change everything.